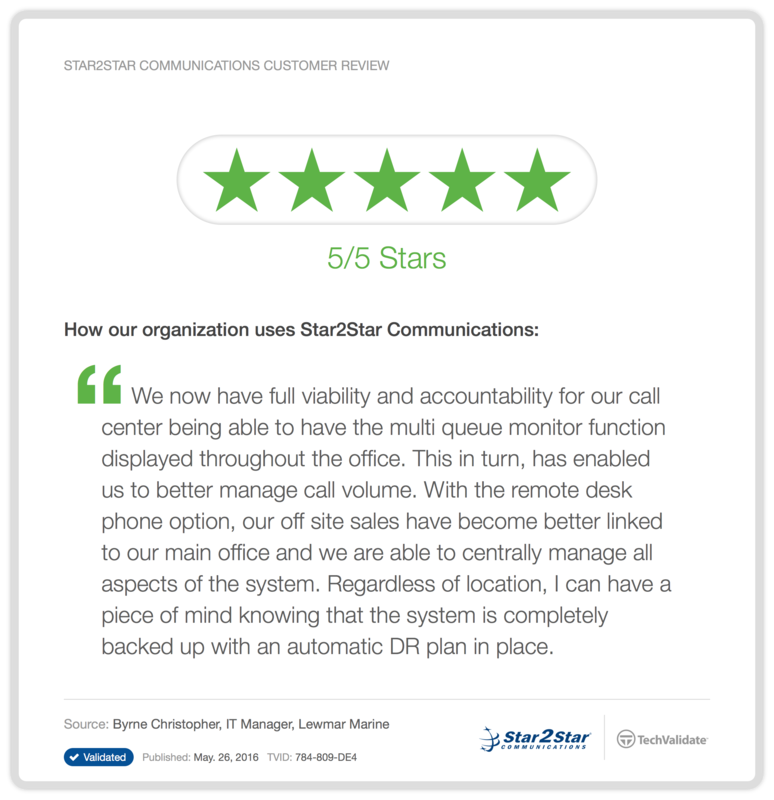 Improve your call center’s performance with StarCenter® and StarView. StarCenter® is a complete, full-featured contact center only available through Star2Star. StarCenter® delivers advanced call routing, management, and reporting features. StarCenter® is scalable from a few users to hundreds of users, and it operates seamlessly across multiple locations. The simple, web-based user interface makes it easy to add and administer queues and agents. Turn data from your advanced call center into information that helps drive your business forward with StarView. StarView leverages your flexible and cost-effective StarCenter™ data by transforming it into valuable and actionable business knowledge. Administrators can choose to allow agents to view their own performance against their peers or against administrative activity thresholds to enhance motivation and productivity. Quality service level agreements are critical to any business. With StarCenter® SMART (StarCenter® Monitoring, Alerting, And Reporting Tool), call center managers have the ability to monitor how well a system is conforming to a series of predefined parameters without constantly watching monitors. If an exception outside of desired business rules occurs, the system will trigger a notification email or short message service (SMS) message to select individuals. StarCenter® runs on most versions of Windows and Mac OS X. It uses the same user authentication credentials as your portal administration, so it doesn’t add any administrative overhead for your IT department.